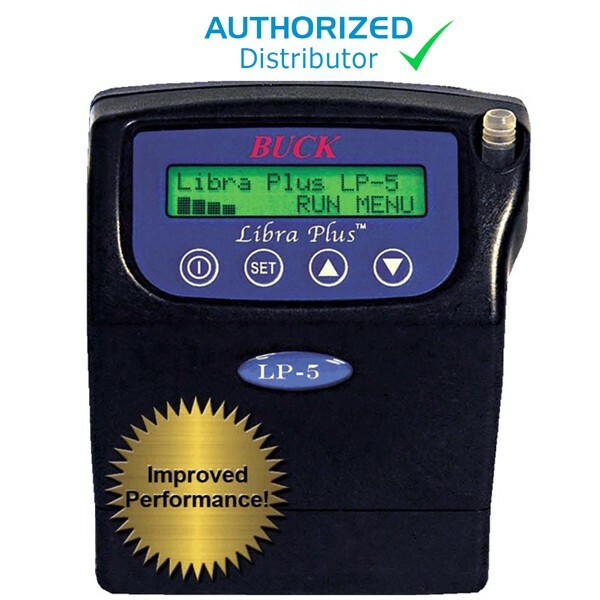 GET IMPROVED PERFORMANCE WITH THE BUCK LIBRA PLUS LP-5! The purpose of the Libra Plus air sampling pump is to draw air contaminants in through a sampling media such as 25 and 37mm filter cassettes, bubble impingers, and long-duration color detector tubes, as well as to gauge personnel exposure to gases, vapors, particulates, aerosols, etc. No tools are required to operate this pump and keys lock to prevent it from being accidentally turned off. The main display allows quick selection to RUN (for sampling) or MENU (to reset pumps data).